Each year, the College of Arts and Sciences honors alumni who have made exceptional contributions to their fields and to the lives of others. A ceremony for the 2016 winners was held during Homecoming Weekend, Oct. 13–16, 2016. Thalia Dorwick (FSM ’66, GRS ’73), retired vice president and editor-in-chief of humanities, social sciences and languages at McGraw-Hill Education, has devoted her career to foreign language instruction. She is the lead author of Puntos de partida, an introductory Spanish textbook that has gone through 10 editions to date and been used by more than one million students. Before entering the publishing industry, Dorwick was an assistant professor and award-winning teacher at California State University, Sacramento. She earned both her bachelor’s and doctoral degrees in Romance languages. A CWRU trustee since 2003, Dorwick is currently the board’s vice-chair, co-chair of the university’s capital campaign and chair of the Academic Life and Student Affairs Committee. She is also the board’s representative on the College of Arts and Sciences Visiting Committee and chair of the college’s capital campaign. In 2013, Dorwick designated Case Western Reserve as the recipient of a major gift from the estate of her mentor and colleague, Eirik Børve. The gift established a professorship in modern languages, a fund supporting undergraduate travel or service abroad and a fund to enhance foreign language teaching and expand global learning opportunities. Joshua W. Martin III (CIT ’66), former partner and now counsel in the law firm of Potter Anderson & Corroon in Wilmington, Del., has a distinguished record of public and private service. He began his legal career in 1974 as a patent attorney; in 1978, he became a member and subsequently chair of the Delaware Public Service Commission. Martin later served as resident associate judge for the Superior Court of Delaware and as president and chief executive officer of Verizon Delaware, Inc. Since joining Potter Anderson in 2005, Martin has concentrated his practice on arbitration and mediation and on business counseling, particularly in the areas of telecommunications, public utilities and government relations. 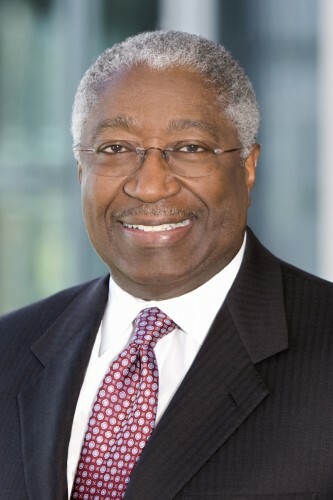 He has chaired the firm’s Diversity and Inclusion Committee, and in 2014 he received the J. Michael Brown Award from the DuPont Legal Department Minority Counsel Network in recognition of his efforts to increase diversity in the legal profession. 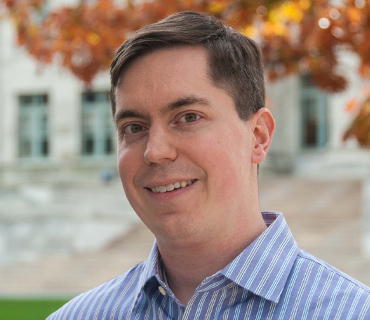 Martin earned his bachelor’s degree in physics from Case Institute of Technology and rose to the rank of senior physicist at The DuPont Company before deciding to become a lawyer. A member of Case Western Reserve’s board of trustees from 1999 to 2009, he has also served on the College of Arts and Sciences Visiting Committee. Natalie Epstein (FSM ’49, GRS ’74) is a leading advocate for theater education at CWRU and the development of professional theater in Cleveland. For 22 years, she was president of Friends of Eldred Theater (FOET), a donor group she founded in 1991. FOET members provided support for everything from stage equipment to playbills, and they established scholarships enabling students to attend acting programs around the world. Epstein herself completed a master’s degree in theater 25 years after earning her bachelor’s degree in theater and English. In 1982, Epstein was instrumental in bringing Cleveland’s first professional theater company, then called Great Lakes Shakespeare Festival, to what would become the revitalized Playhouse Square district. She later belonged to the leadership team that planned and raised funds for the renovation of the company’s home, the Hanna Theater. An active member of the boards of Great Lakes Theater and ideastream, Epstein has also served on the boards of Cleveland Play House, the Jewish Federation of Cleveland, The Temple Tifereth–Israel, the Cleveland State University Foundation and United Way Services. From 1997 to 2001, she and her husband, Mort, co-chaired a capital campaign for the College of Arts and Sciences that raised $100 million—twice its original goal. In 2011, Epstein was awarded a Cleveland Arts Prize: the Martha Joseph Prize for Distinguished Service to the Arts. Her other honors include the 2009 Gries Family Award for Community Leadership from the Jewish Federation of Cleveland. Loparo earned a bachelor’s degree in chemistry at Case Western Reserve, where he worked for four years in the laboratory of then-Associate Professor Cather Simpson. After completing a doctorate in chemistry at Massachusetts Institute of Technology, he joined Harvard Medical School as a Jane Coffin Childs Postdoctoral Fellow in 2007 and was appointed to the faculty in 2010. As an undergraduate, Loparo became interested in developing optical techniques to probe the dynamics of molecules. In his current research, he has provided the first direct observations of proteins carrying out DNA replication and repair. He hopes that his methods and findings will assist in the development of treatments for diseases such as cancer, which involve deficiencies in DNA repair. Loparo received a National Science Foundation CAREER Award in 2012. His other honors include the Smith Family Award for Excellence in Biomedical Research, the Stewart Trust Fellows Program Award, the Brina Sheeman Shackelford Teaching Award and the Armenise-Harvard Foundation Junior Faculty Award. Photo of Thalia Dorwick by Mike Sands; photo of Natalie Epstein courtesy of The Cleveland Jewish News. All other photos courtesy of their subjects.